There are very few free tools as powerful, yet simple as the Google Alerts service. You can think of it as your own automated, fully customised search engine service because that’s what it is. Google Alerts is a service that generates search engine results, based on criteria decided by you. And delivers the results to your e-mail account on a frequency that suits you. 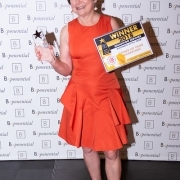 And while some on the Internet may use it to monitor their children, celebrity gossip or current trends, it’s actually a powerful business tool that is both easy and free to set up AND can provide you with meaningful, results to boost your business. There’s no limit to the number of individual alerts you can set up but take care not to overload your inbox! Monitor your brand and your reputation. You’ll want to set up alerts for your business name, your personal name, website and blog names, product names and any other names unique to your business – especially your Trademarks, so you can monitor what is being said about you on the Internet. This gives you an opportunity to respond, express thanks and give links to your work. Track when other websites link to yours. If you set up your alert with the format link:www.yourdomain.com, you will be notified of any new links going to your site. These backlinks are very valuable in helping your site rank well in the search engines. Monitor the use of your content. You will want to know if your articles, blog posts or other content is being used elsewhere on the Internet so that you can be sure it is being properly credited to you and to participate in the conversations. Simply set up a Google Alert for each item using a distinctive sentence you have written. Do research. If you are studying a certain topic, using alerts on the important terms will give you a wealth of information and reading material. Track your clients. 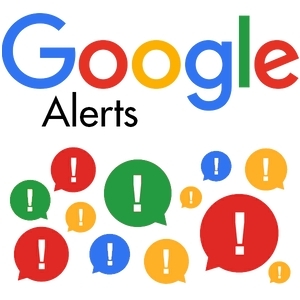 Start a Google alert for your best customers and clients so you don’t miss important news or developments in their businesses. Track your competitors. You can gain valuable ideas and notice trends if you have alerts set up for other brands in your niche. This will also allow you to monitor more of what your niche audience is interested in. Monitor niche key words. You want to stay on top of the news and the issues for your target market and setting alerts for key words in your area will help you do just that. Monitor your own website security. Spammers and hackers actually will insert their links into other people’s websites. Use an alert set up in this format to keep track of whether this has happened to you: site:www.yourdomain.com Viagra OR Cialis OR <otherspamword>. The words that you monitor are up to you, but these are two common ones. Discover new niches and trends. The asterisk (*) symbol in an alert works like it does in search and serves as a wildcard that can stand for any term. So an alert for “new * this year” or “new * 2018” will give you these types of results. The good news is Google Alerts are quick and easy to set up with this 6 step process…. Choose “Show Options” to narrow the alert to a specific source, language, and/or region. It’s also a good idea to review these regularly and add or delete topics as your needs or interests change.